The Crew would also take in the Shearer v Savage Battle of the 5-a-Sides Challenge. This was a match between the children and the Greenfield School Staff. The match would take place after school with tickets available to families of the players. Photographs and a match report can be found lower down the page. 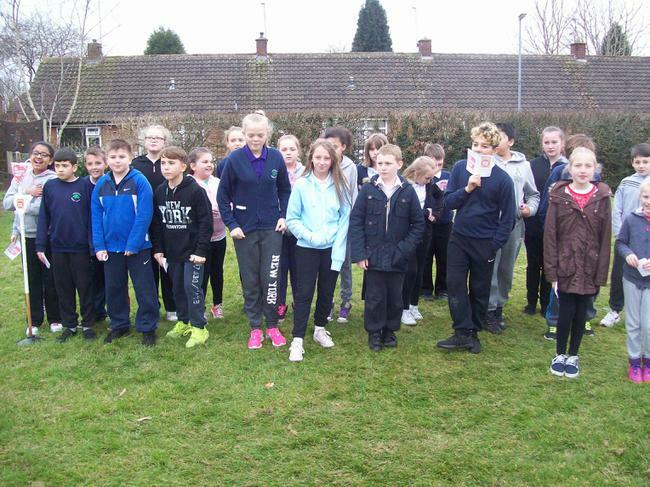 In the build up to Sport Relief Day, the School Sport Organising Crew sold wristbands and ran a competition to guess the activity that was Jo Brand's favourite to win a Sport Relief Goody bag. The shop was open every morning before school. Well done to all pupils who raised money. A special congratulations to the School Sports Organising Crew for their organisation of all of the events. Nursery and Reception Classes on The Sport Relief Mile. Year One completed 175 laps with an average of 5.8 laps per child. Year Three completed 237 laps with an average of 7.4 laps per child. Year Four completed 173 laps with an average of 6.17 laps per child. Year Five completed 207 laps with an average of 7.13 laps per child.